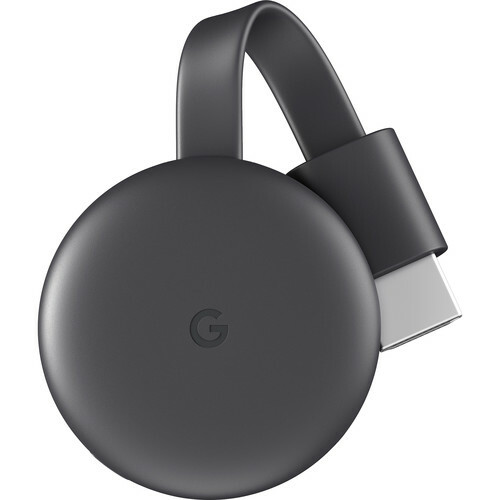 Box Dimensions (LxWxH) 4.5 x 4.5 x 2.0"
Chromecast (Charcoal, 3rd Generation) is rated 4.7 out of 5 by 19. Rated 5 out of 5 by Rifah from Very useful device It is very useful device for streaming data from phone and other personal devices to TV. Also the screen and sound of phone can be streamed directly to the TV. Rated 5 out of 5 by Michael from Easy to set up and use Purchase easy via website, fast delivery and quick and easy set up. Oh and yes, excellent performance. Rated 5 out of 5 by Edwin from Google does it again Im a big fan of the Google ecosystem - Chrome, Google Fiber, and Chromecast. This is my second Chromecast and it is amazingly easy to install and even easier to use with the supported apps like Spotify and of course YouTube. At this price, this is a no brainer. Rated 2 out of 5 by Eric from Nothing Spectacular Bought this because I have a few google homes in my apartment and thought this would be a good addition. It is easy to set up I just don’t like that you have to use your phone for everything. You have to have all these apps loaded on your phone taking up space just to stream Netflix, Hulu, etc. I did not like how this functioned and it does turn on my TV but doesn’t turn it off (as some sites say it can do). This might be due to the fact that it’s a Sharp TV, however I’ve read many statements saying that there are a TON of tvs that don’t turn on or off with this thing. I was excited to try it but disappointed in its features. I tried to return it but they were charging me $10 just to ship it back which is outrages. So please be careful when you buy things from this website because they will charge you if you decide to return it. I think I will stick to Roku. They have a much better platform and is more user friendly. Rated 5 out of 5 by Michael from Great Item to have on your television My daughter showed me her Chromecast a year and and it was interesting. Bought one to try and love it. The ability to transfer images, videos, etc from your phone/tablet/computer is an amazing thing and especially makes watching you tube videos enjoyable. Bought a second one and eventually all of the televisions will have them. Highly recommended. Rated 5 out of 5 by Peter from Great device The Chromecast is a great way to show your laptop or phone displays on your TV. However, it requires a local WiFi with Internet for the connection. Some house networks wont allow such a connection. I had to set up a DSL and Router to make this work in one situation. Rated 5 out of 5 by Gerald from cant believe i needed this! always wanted to show my laptop on my television for presentations and broadcasts you cant do on roku. i had tried other methods but none worked to my satisfaction. everything works through google chrome. Great Job to those who made this device. included power adapter is International version or USA 120volts version? Do yoj offer worldwide shipping? I don't see us any details on shipping when I add them to cart. This product may not be shipped outside the USA. can we skype to skype call in any country or just in USA? Thanks to Skype app on these devices, you can now make free video calls from anywhere. Most tablets and smartphones running on Android 4.2.2 Jelly Bean OS and above include a feature called Cast Screen. 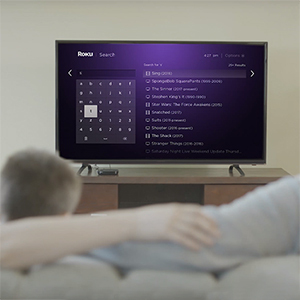 With Cast Screen option, you can mirror the smartphone screen onto a compatible TV. Wich is the difference to the 2nd generation? Asked by: OSCAR ENRIQUE R.
It has support for 2.4ghz and 5ghz WiFi and should perform a little bit faster. how can i play youtube etc on this without remote?